There is a difference between READING about ways to manage stress and actively DOING stress management techniques. It is like the difference between DREAMING about a vacation in Tahiti -- and actually GOING there. Two very different experiences. And there is more. .. In working with hundreds- perhaps thousands-of professionals in my business coaching practice over the last twenty years, I’ve found that when people make stress reduction a priority – meaning that they make a HABIT of using these skills in their everyday lives -- their productivity improves and they make more money. The correlation between business stress management and productivity is not really surprising when you think about the fact that personal energy is the foundation of all true, sustainable success in life – in your work, personal relationships and your health. When you implement the various ways to manage stress, you are, in essence, gaining control of your vitality. Because your brain doesn’t know the difference between what is real and what is imagined, each and every time you replay a stressful episode in your mind, you trigger a stress response in your body – just as if that situation was happening all over again. Mind power techniques, like visualization, help you to focus on more helpful mental images and thereby elicit a more desirable response. If you catch yourself with "stress-producing" self-talk, use affirmations for stress reduction to change your programming. Learn how to relax your mind! Make a note of what causes stress (stressors) in your life and how you respond. Are there healthier alternatives? Get intimate with the triggers and your physical and mental reactions. Having awareness of when you first experience stress will help you choose a quick response and diminish the effects. Where possible, avoid people and topics you “react” to. For me that includes violent movies and politics. If television news stresses you out, stop watching it! If certain friends stress you out, stop hanging out with them. Avoid gossip, negativity and people who constantly talk about problems. What you think about you create. 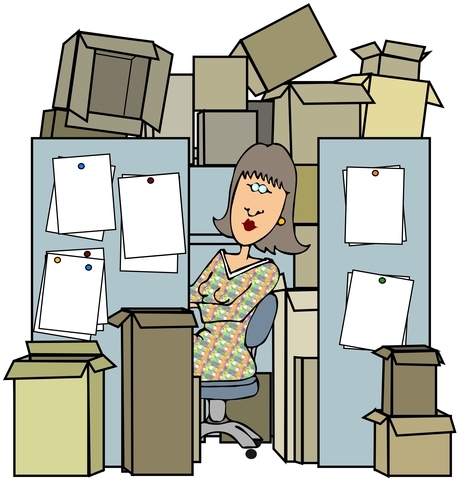 Get rid of clutter in your environment and take control of your work space. Make your first response to any stress you feel a nice, big deep breath. Apply positive power thinking or mindful meditation-on-the-go to help you stay centered – relaxed, focused, and in control. You will be happier and healthier. Deep relaxation techniques are very restorative, strengthening your immune system, and stimulating your body’s natural ability to heal itself. They relax the mind and body. 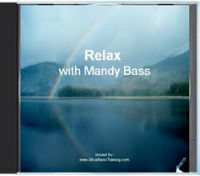 Get a downloadable MP3 that guides you through the process of hypnosis for stress relief. Mind visualization, guided imagery, self hypnosis and meditation relax both mind and body. More. 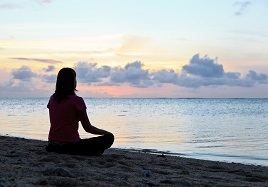 If you are a beginner interested in meditation, you can start here. 6. Two-handed Stress Anxiety Management Technique. Getting some exercise in least three times a week helps to get rid of stored stress. Remember it doesn’t help to know all the many ways to manage stress in your life, unless you actually do something about it.